We didn’t have a diary post last week, so the start of this post includes some news for the previous week. On Monday 1st April we launched ‘Flourish’, our new monthly Dementia Friendly Gardening Group at the Horticultural Centre. 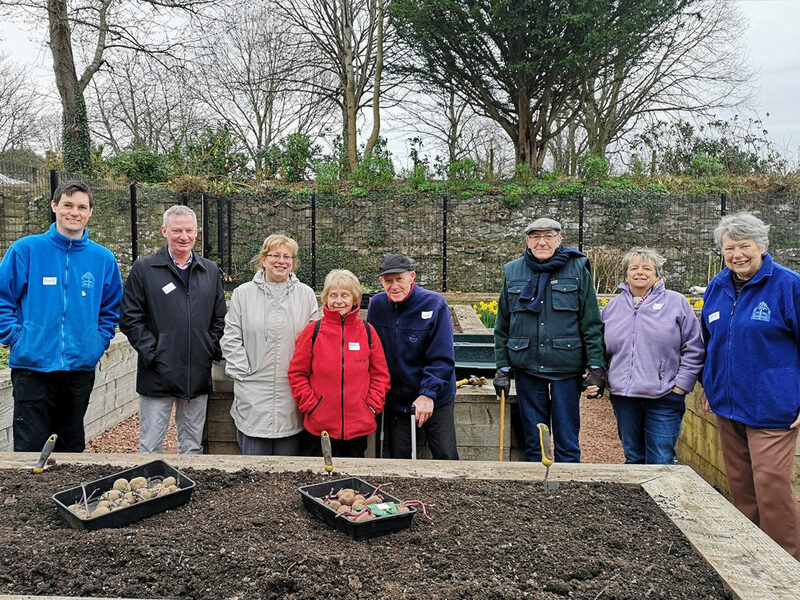 Despite the chilly weather, we had a good start touring the centre, planting some seed potatoes and warming up with a cup of tea and a scone! The group will be running on the first Monday of the month going forward, with the next session on Monday 6th May from 10.30am – around 12pm. This group has been generously sponsored by Home Instead, with support from the local Alzheimer Scotland team. To come along, please register in advance by emailing info@lanarktrust.co.uk or call 01555 728 329. We had a busy weekend at the centre with the Green Cleaning Workshop on Saturday, and the start of our 5-week Botanical Painting Course. 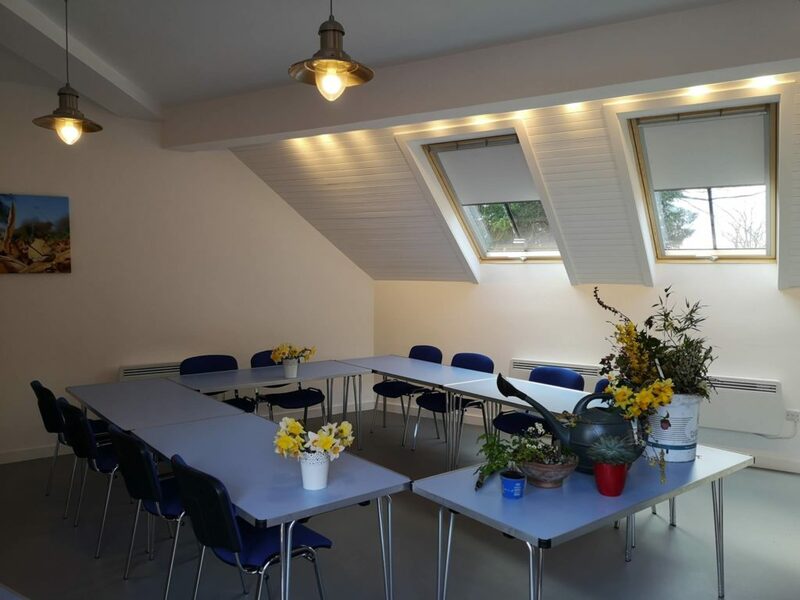 This space is available to hire 7 days a week + evenings, to view our full price list and information sheet please email info@lanarktrust.co.uk. Monday marked ‘2 weeks to go’ until our Easter Open Day on Monday 22nd April! 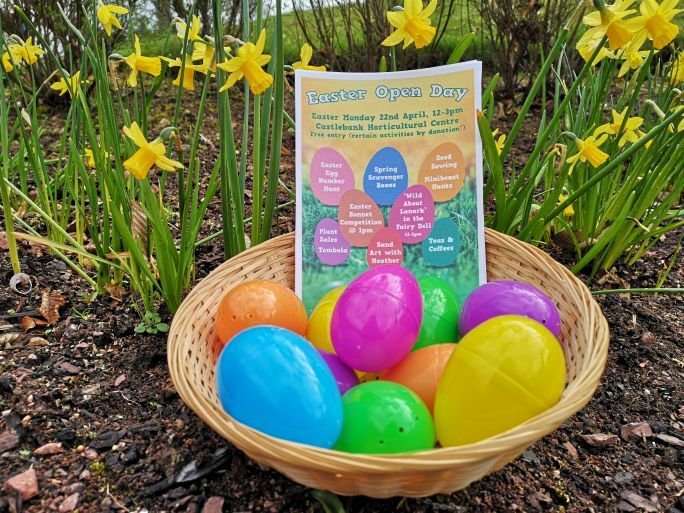 Come along from 12-3pm for lots of fun, family activities including bug hunts, spring scavenger boxes, easter egg number hunts, seed sowing, sand art and a Wild About Lanark session. There will also be plant sales, tombola and teas & coffee with home baking. 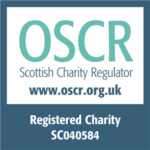 All funds raised will go towards the continued restoration of the Castlebank Park gardens. Entry is free and certain activities will be available by donation. 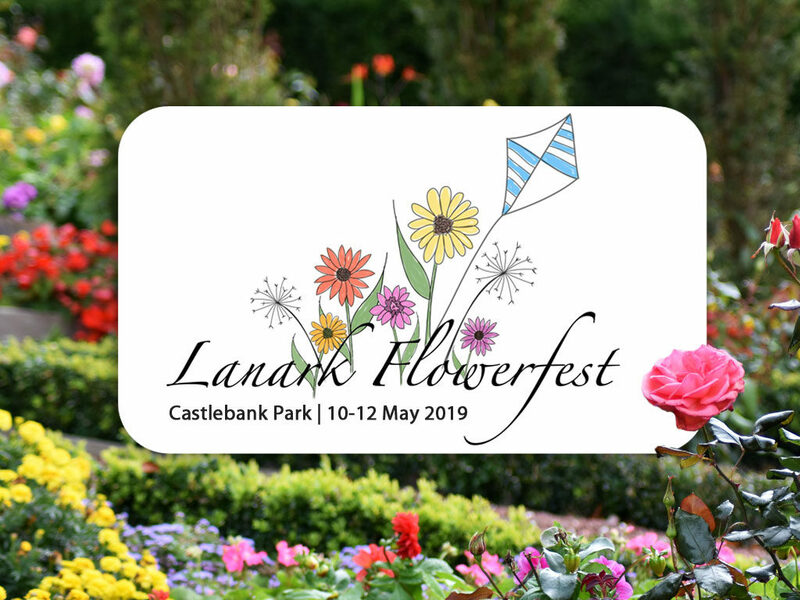 Wednesday during the week marked ‘1 month to go’ until FlowerFest returns to Castlebank Park from 10th – 12th May! Come along and enjoy the three-day festival for a jam-packed weekend of botanical celebration, music, food, crafts and entertainment. Tickets from £3! Click here to read more about the festival. On Thursday evening we received great news, all the way from Brussels! 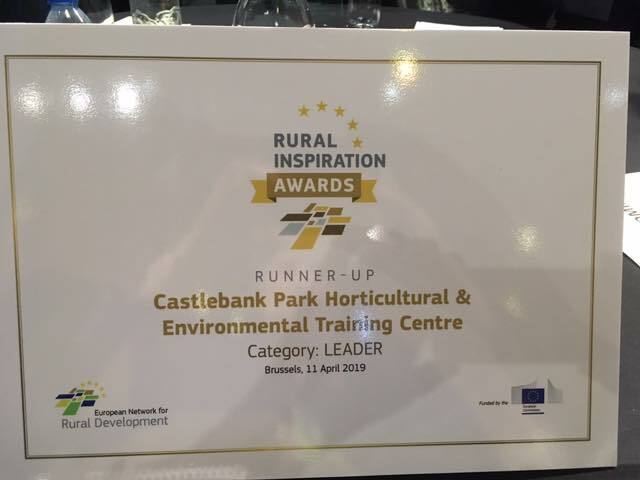 We were awarded ‘runner up’ in the LEADER category of the Rural Inspiration Awards for the regeneration of Castlebank Park and the creation of the Horticultural Centre. Thank you to everyone for voting for us! 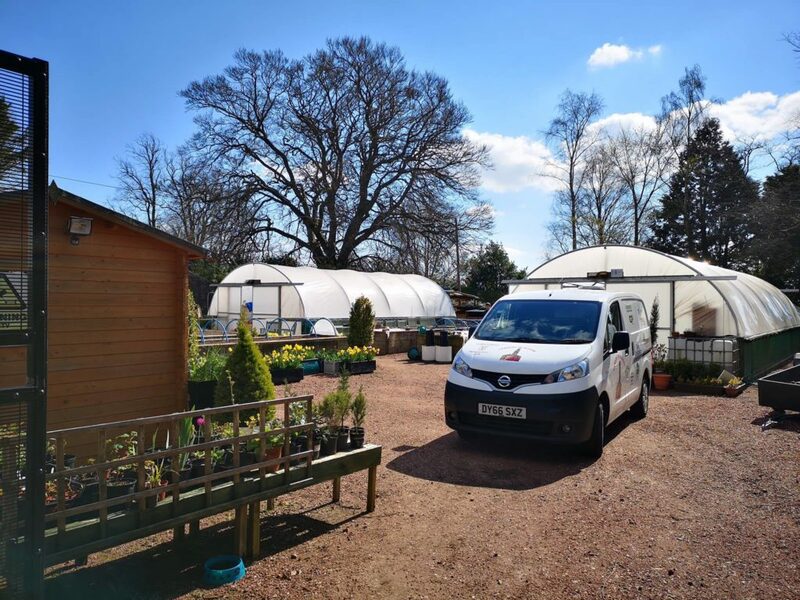 We’ve enjoyed lots of sunny weather this week a the Horticultural Centre, a perfect lead up to our first weekend community gardening session this Saturday! Come along from 10.30am to help us spring clean the Bog Garden area of the park, ready for the summer visitors. Bring a packed lunch and wear suitable outdoor clothing. Meeting point is the Horticultural Centre at the top of the grassy hill. Tools an equipment provided. No experience required. Under 16s must be accompanied by an adult. Also happening this weekend in Lanark, Saturday afternoon sees the annual Easter Hop Baby Disco in the Memorial Hall and Saturday night leads to a Charity Rock Night in The Clydesdale Inn.